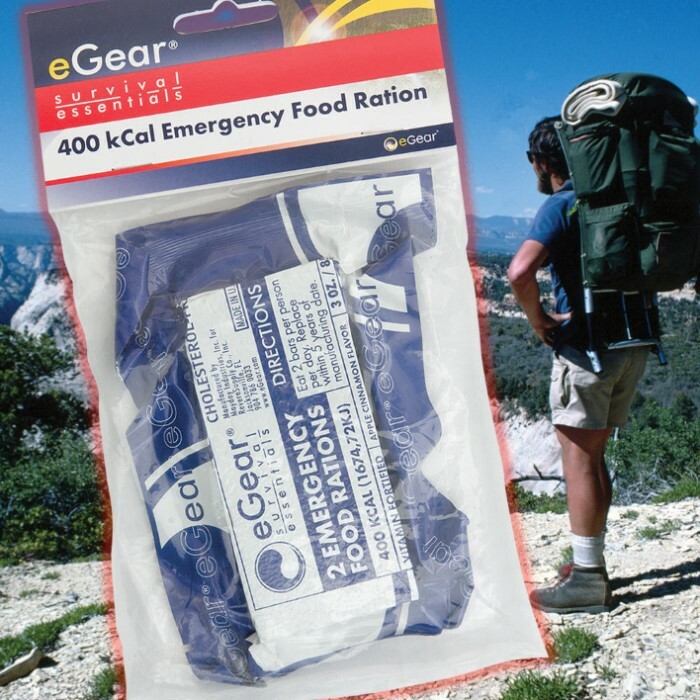 In case of emergency, these food bars are designed to be ready and able to keep you going. 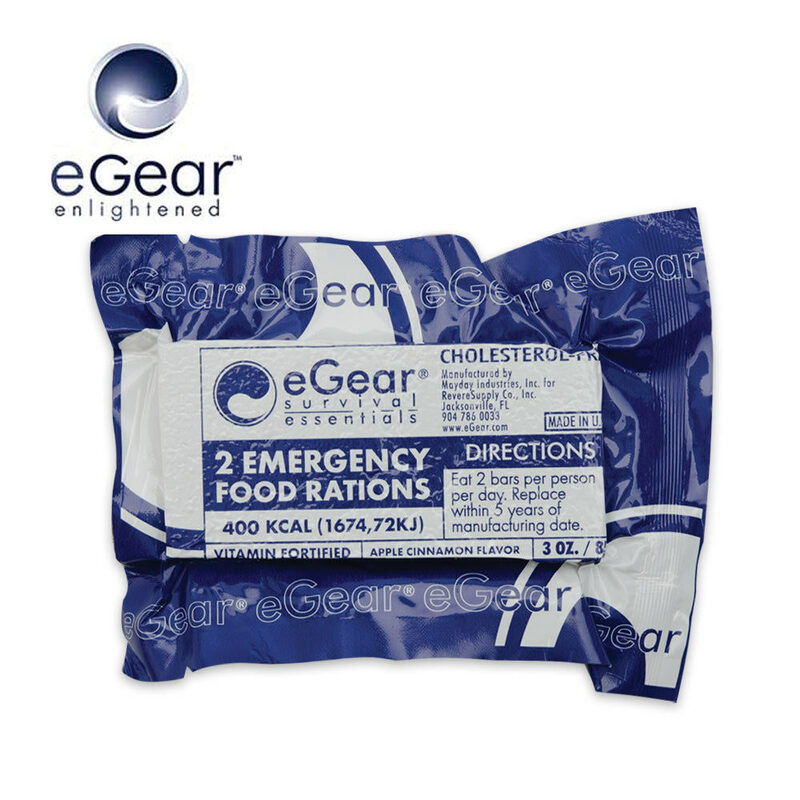 Each package contains one bar made up of two emergency food rations. Contains one 400 calorie, 3 oz. bar. Package dimensions: 2 in. x 4 in. x 1/2 in. Manufacturer directions: Eat 2 bars per person par day. Replace within 5 years of manufacturing date. Good item to keep in your "bug-out" bag... Light weight, compact... If I ever actually use it, I will let you know how it tastes... Either way, "Better to have and not need, than to need and not have." Bought the eGear 400k Food Bar to sample. I enjoyed the taste and texture. It gave me extra energy and keeps you alert. I plan on getting some for my families BOBs. okay so about a week ago I ordered a eGear survival essentials 2 Emergancy food Rations Apple and Cinnamon flavored and I got it today. I got this as a random thing and to do a taste test. well these things are 400 calories for 2bars (200 each) along with 16 needed vitamins and minerals. upon opening it, it looked like a thick gram cracker. and it tasted just like apple and cinnamon oatmeal. it is surprisingly pretty good for being an emergency food ration. it recommends 2 bars per person per day. this is something that I would be willing to eat during an emergency.